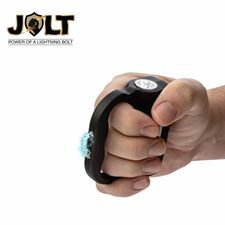 Rubber Handle Steel Baton is the best choice for a simple self-defense weapon , with a simple tap from your wrist the baton will expand to its full size and just swing it towards your assailant. 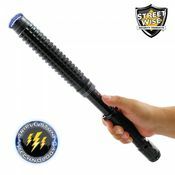 This high quality solid steel baton is made in China and expands from 9 and one-half inches to 25 and five-eight inches. 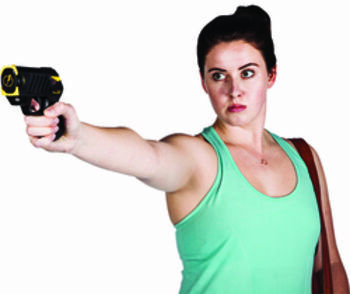 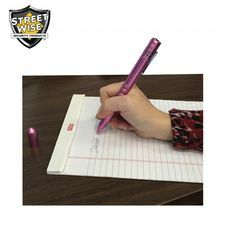 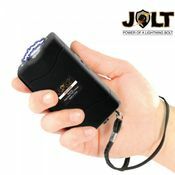 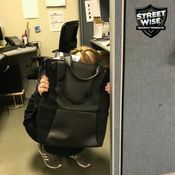 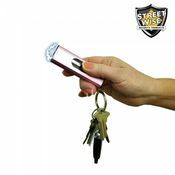 It locks into place with just a flick of the wrist and provides extra reach, keeping you a safe distance from an attacker. 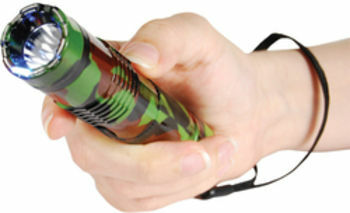 The rubber grip handle helps you maintain a firm grip. 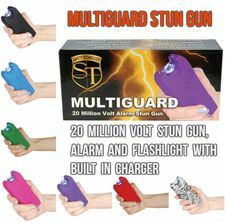 For easy carrying, a heavy-duty nylon holster with belt loop is included.